Postgraduate Taught (PGT) Course Template of Provision for the MSc in Clinical Embryology. 1. Who is the course director with overall responsibility for students on this course? 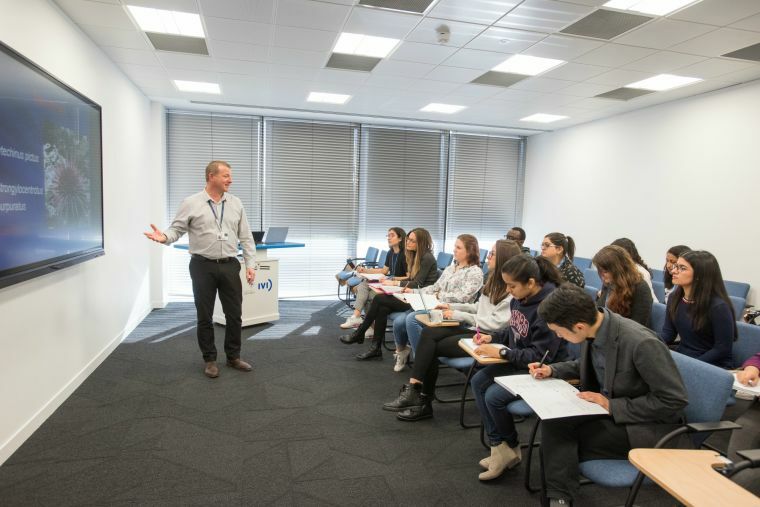 At the beginning of the course, students are provided with a comprehensive induction programme which includes a welcome meeting involving short talks from the Course Director and the Head of the Nuffield Department of Women's & Reproductive Health. Students will also have individual meetings with their academic Mentor and the Course Director. Further induction sessions involve information technology and the setting up of email accounts (including the University’s Virtual Learning Environment, Canvas), University library facilities (particularly the Health Care Library), and laboratory health and safety. Students will also be given a tour of teaching, laboratory, information technology, and write-up facilities. 3. What is the overall length of the course, and for how many weeks are students expected to work in Oxford? The MSc in Clinical Embryology will run for one academic year (approximately 11 months) and is composed of three segments that coincide with with the three University terms (Michaelmas, Hilary and Trinity). The first two segments (each 10 weeks in length) form the 'core' theoretical and practical component of the course. The final segment (approximately 21 weeks in length) provides the students with an opportunity to undertake a laboratory research project in a Departmental laboratory. 4. What is the pattern of lectures, classes, seminars, tutorials and self-directed work for this course? This course is composed of ten formal teaching modules, each lasting 1 – 3 weeks. The first five modules are provided during the first term and the remaining modules during the second term. Each module will typically consist of 5 – 12 formal lectures, up to 6 laboratory practical sessions, and up to 2 self-directed/problem-based learning sessions. Each module will also include at least one class-directed learning session. Additional workshops, demonstrations and visits to other research laboratories will be provided on an ad hoc basis throughout the taught part of the course. During the second term, students will also observe clinical procedures in an IVF Unit as an observer. From the beginning of the third term until the end of August, students will be working on their research project and dissertation. 5. What one-to-one or small group teaching will students on this course receive? Formal teaching sessions (e.g. lectures, self-directed/problem-based learning sessions) will normally take place in a single group of up to 22 students. Several laboratory practical sessions will include one-to-one training. Small group tutorials will also be provided on an ad hoc basis when required, as dictated by the outcome of class-directed learning sessions. Supervision of research projects will be on a one-to-one basis. 6. Who will take overall responsibility for an individual student’s progress and for completing the joint progress report form in each term of the course? The Course Director will monitor the progress of all students on the course and will complete a progress report form for each term. 7. What work space will be provided? What IT support/library facilities/experimental facilities will be available? Students are provided with a quiet write-up area equipped with networked desktop computers and laser printing/photocopying facilities. IT support is predominantly provided by the Medical Sciences Division IT Services based at the John Radcliffe Hospital. Further support is provided by IT Services who also provide an extensive range of short IT training courses. Oxford University has an incredibly diverse library service provided by over 100 libraries, including the Bodleian Library and the Radcliffe Science Library. Our MSc students will predominantly utilise the Health Care Libraries, particularly the Cairns Library situated on the John Radcliffe Hospital site. Experimental sessions are held in a dedicated modern laboratory equipped with a range of top quality equipment, including state-of-the-art gamete manipulation/injection systems. Sufficient experimental apparatus is provided to allow each student significant ‘hands-on’ training. 8. What opportunities are provided for students to take part in research seminars or groups? What formal graduate skills training will be provided? Students will have the opportunity to attend Departmental seminars, and attend other Departmental events as appropriate. Students will receive a variety of skills training including IT (presentation & reference management software), personal development planning, business management, biomedical statistics, scientific writing and oral presentation. Students will have several opportunities for giving oral presentations throughout the course, both as part of their coursework and as part of the formal examination process. Students may also have the opportunity to attend relevant skills training sessions provided by the Medical Sciences Division. Students will also be expected to study a number of highly relevant online skills training courses via the University Skills Portal. 9. What are the arrangements for student feedback and for responding to student concerns? At any time, students can provide feedback via their Mentor, or via the Course Director. In addition, students are asked to complete an online survey (via Canvas) at the end of each of the ten formal teaching modules. This survey covers all aspects of the modules, including lectures, laboratory practical work, and self-directed/problem-based learning. At the end of the course, students will also be asked to complete one final survey providing valuable feedback for the entire course. There is also student representation on various Departmental Committees and on the Divisional Joint Graduate Consultative Committee (JGCC). 10. What arrangements for accommodation, meals and social facilities will be made for students on a graduate taught course? This question relates mostly to colleges, but the Department does provide kitchen and common room facilities that can be used by graduate students. Many colleges will be able to provide you with at least one year’s accommodation. Generally speaking your college will provide meals throughout the year, but provision will vary from college to college, especially during vacations, and you will need to familiarise yourself with your college’s detailed arrangements. In addition there are usually self-catering facilities available in graduate accommodation. You will be a member of the Middle Common Room, or equivalent, of your college, which is the main social centre for graduates. The MCR provides a common room and usually organises a programme of social events throughout the year. The college will also provide a bar, some computing facilities and a library, and may often have dedicated funds for research (conference and field grants). It also represents the interests of its members to the college through an elected Committee or through elected representatives to College Committees. Again, details will vary from college to college. Graduates are also welcome to participate in all other social and sporting activities of the college. Please see individual college websites for further details about all aspects of college provision. 11. What arrangements are in place for pastoral and welfare support? There are many people within the Department who can assist with pastoral and welfare support, such as the Course Director, Course Staff and the Director of Graduate Studies. Any pastoral or welfare issues arising will be dealt with by a coordinated effort involving the Department and the relevant college. There is an extensive framework of support for graduates within each college. Your college will allocate to you a College Advisor from among its Senior Members, usually in a cognate subject, who will arrange to see you from time to time and whom you may contact for additional advice and support on academic and other matters. In college you may also approach the Tutor for Graduates and/or the Senior Tutor for advice. The Tutor for Graduates is a fellow of the college with particular responsibility for the interests and welfare of graduate students. In some colleges, the Senior Tutor will also have the role of Tutor for Graduates. Each college will also have other named individuals who can offer individual advice. The University also has a professionally staffed confidential Student Counselling Service, which offers assistance with personal, emotional, social, and academic problems.